Employees from Optum, a UnitedHealth Group company, recently teamed up with Project Transformation Tennessee to give back to the Antioch community. They donated books for the after school program hosted at Antioch United Methodist Church. The books are part of the award-winning Oliver & Hope storybook series and are filled with stories of hope, imagination and resiliency. 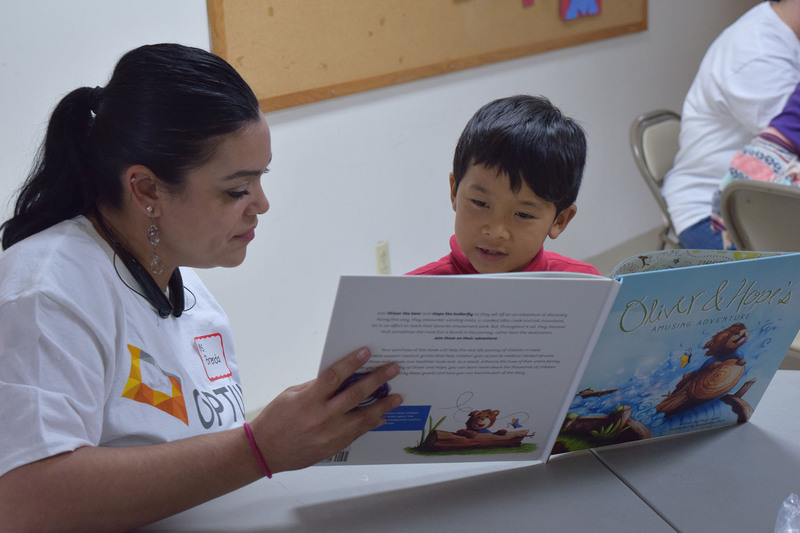 Optum volunteers also had the opportunity to spend time with the students helping them with homework, making bookmarkers, reading books and playing games. enrichment programs to children and youth in underserved areas. Since their launch in 2012 Project Transformation Tennessee has blessed the Nashville, Murfreesboro and Memphis communities with their ministry by directly impacting more than 1,000 youth. Antioch is grateful for their contribution to its community. For more information about Project Transformation please visit www.pttennessee.org . For more information on the Oliver & Hope storybook series please visit www.uhccf.org/oliverandhope . Laurie Combs Morgan is the co-owner of Morgan Publishing and AntiochTenn.com.